Two weeks ago, Aeroplan rolled out a new option for members to redeem their miles, called dExclusives Rewards. This certainly sounds like something that would be nice if you had a lot of miles. 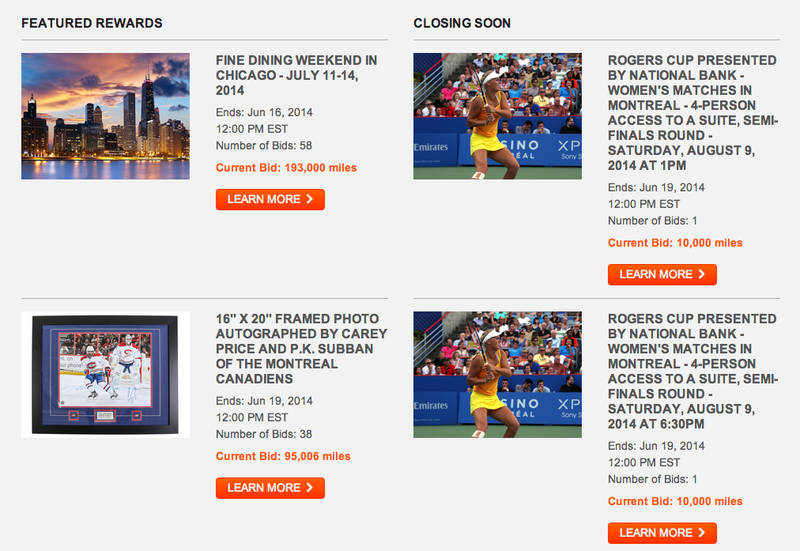 Current opportunities include a suite to the Rogers Cup, a Michelin dining experience in Chicago, and autographed merchandise, which is all pretty cool if those are things that you enjoy. In addition, you’d be able to redeem for select rewards at fixed mileage levels and in limited quantities. 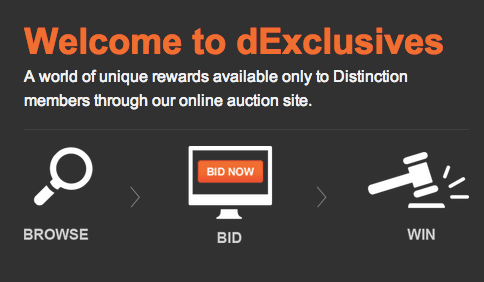 It seems that dExclusives awards are limited to Canadian members only and to bid you must be a Distinction member. For more details about Distinction, see this post. Tweet me letting what dExclusive reward you’d like to bid on if you win 5,000 points, getting you that much closer the reward of your choice. Use the hashtag #dExclusivesGiveaway in your tweet. This allows me to select a winner using the hashtag. If I won 5,000 Aeroplan miles from the #dExclusivesGiveaway, I’d bid on Drake Concert Tickets! For another entry, retweet my tweet (not BoardingArea’s) of this giveaway post. That tweet you want to RT is here. All tweets and RT’s must be published before 11:59PM Pacific Time, on Monday June 17th. This means that you will have two entries into a random draw selecting a winner from all the retweets of my tweet and tweets containing the hashtag. ONE winner will be selected to win 5,000 miles from Aeroplan, which will be deposited into their account. Duplicate twitter account entries and robot entries will be disqualified. Winner must be following my Twitter account. If you have questions about this contest, please email me. I make all the decisions regarding the giveaway and there is no appeal.